Do You Have A Bird Sitter? When the subject of vacationing comes up, a large number of parrot owners reveal that they don’t travel because they are afraid to leave their birds. Either they don’t have anyone they trust to care for them, or they are afraid that their bird will have disowned them by the time they get home. Today I am going to try to talk you out of that thinking. physical. The cleaning, meal preparation and chasing around a feathered toddler every day can be demanding. mental. You have to be able to think on your feet. It is not a given that you will always be one step ahead of your parrot. But you know what? 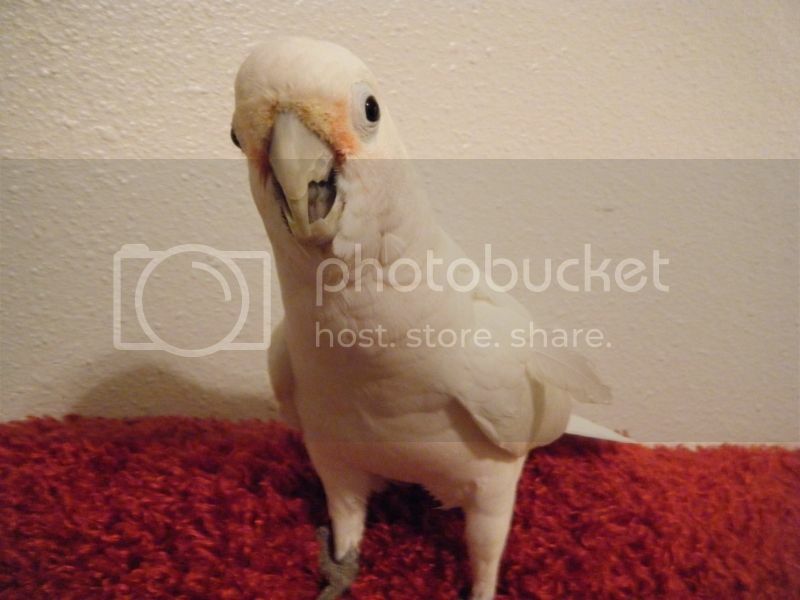 Another part of being a good parrot owner is making sure that your bird has a permanent home with you. If you don’t look out for yourself, your physical and mental well being, you might not always be there for your bird. I have seen long time, committed bird owners give up their birds because they burned out. Bird ownership was owning them. One couple I know confessed to not having been away from home in almost 14 years since their macaw came to live with them. Someone else realized she was in trouble a few years ago when her out-of-state daughter was getting ready to give birth to her first grandchild, and she hesitated before booking a flight afraid to leave her bird. These people were dedicated to their birds, but life was passing them by, and eventually they had to do something about it. Others become overwhelmed with the workload and responsibility. Without ever getting a break, without arranging for time for yourself, you might one day find yourself facing a similar decision. Just because you aren’t there yet, doesn’t mean that you won’t be one day. The people mentioned above NEVER saw this day coming. Everyone with a bird should have a bird sitter on call. Vacations and work related travel are probably the two main reasons for having a bird sitter. But there are also others reasons for which you should be prepared. While your first thoughts might be to have someone you know well take your bird for you, you should have one bird sitter that is neither a family member nor a close friend. A serious accident involving a loved one, even when it is local, can have you standing by at the hospital for days. This might also make the family member or close friend unavailable to watch your bird as they may be at the hospital as well. This is not the time to be searching for a pet sitter. A person I know threw a huge family reunion bash last year. She has a huge back yard that would accommodate a large group for a barbecue. So she was elected to host the event, and her relatives flew in from all over to attend. Her normally quiet macaw was overwhelmed and screamed for the entire weekend. This turned an expensive occasion that was a year in planning into an unpleasant event for many people. A bird sitter would have saved everyone, both human and avian, a lot of discomfort. How likely is your bird to behave well during a simple dinner party? Can you even imagine throwing a Halloween party at your house? What if you need to do remodeling in your home that would be unsafe for your bird? What would you do? When I refer to life passing parrot owners by, this is what I mean. It is unnecessary for you to go without because you have a bird. Doing so will only cause you hardship that might one day be blamed on the bird when it is, in fact, your own fault. There is an alternative for you. I think one of the best uses for a bird sitter is to preserve our sanity. When the duties of bird ownership are bearing down on us, this is our escape hatch. A weekend free from responsibility can be rejuvenating which can give you the fuel you need to go forward without feeling forced to be a good parront. Furthermore, the benefits of the socialization your parrot will gain is very good for your bird. If you don’t have a bird sitter in your town, create one. Find someone who has an interest in parrots that you can train to be the bird sitter you require, and give them the opportunity to earn some extra cash. You could put up a notice at a local pet store or vet’s office. You can start the process by leaving your bird with this person for the afternoon, then eventually overnight and then the weekend. If you do this often enough, you and your bird will grow to feel comfortable with the arrangement. Then you will be free to travel or have company over whenever you want! We have a wonderful vet at Avian & Exotic Animal Clinic in Gilbert, AZ that also boards birds. Our Amazon absolutely loves going there to see her friends (there are two parrots that live there) and the staff loves our bird as much as we do, so leaving her there is a no-brainier when we go on vacation. We have boarded her there several times. It does add to the cost of our vacation but it’s well worth it to know that our little Maxine is happy and well taken care of. If anyone in this area needs a vet or boarding I would highly recommend them. My wife would love this article. Could it be because I am not at home much. I have a house helper twice a week. I’m home once a week. Any bird sitters in the Deptford NJ area? I live in a very small town at the base of the Sierra Nevada Mtns which I go into and climb often, so I am blessed to have Teri Burgess Pet Nanny here in Bishop who I use every couple of weeks for 2 or 4 days. She makes two trips a day to feed, water and chat with my 4 little buzzards. Pretty sure I am co-dependent regarding my birds because I always feel guilty as hell when I pack up and head into the mountains, but my life also consists of outdoor activities that may take several days to accomplish, so I trust Teri to care for my precious babies. I always make a point of spending a dedicated day to giving each bird extended personal attention when I return. We’re all so happy to see each other and my CAG now says “See ya later” in Teri’s voice – she’s real flattered by that. Yes, I have a bird sitter. I’ve always made arrangements before a (new) pet was at my house. If I don’t have a sitter, I can’t have a bird. Love my sitters and they love birds now too. I agree that having a person available to bird-sit is optimal, but there is a concern about ensuring that it’s a safe, low-stress environment for the bird. One concern I have relates to stories I have heard of people who left a bird with someone only to find that they either claimed to have been given the bird and refusing to return it or having sold the bird while the owners were gone! What a horrible thing to have happen! Having a parrot is certainly a lifetime commitment and must be taken seriously, that’s true. That means only leaving my birds with a family member or close friend or taking my bird with me on vacation. I would no more leave my birds with strangers than I would my child.